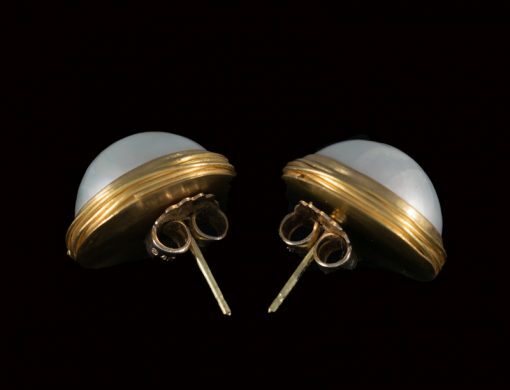 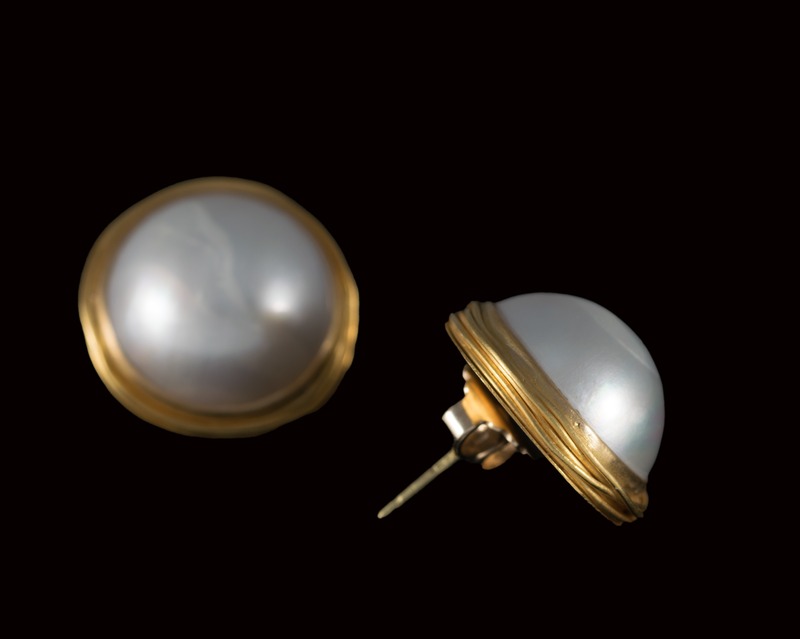 These handsome and very beautiful white mabé pearls are set in 22ct gold and have been embellished with a thin wire wrapped round the setting. 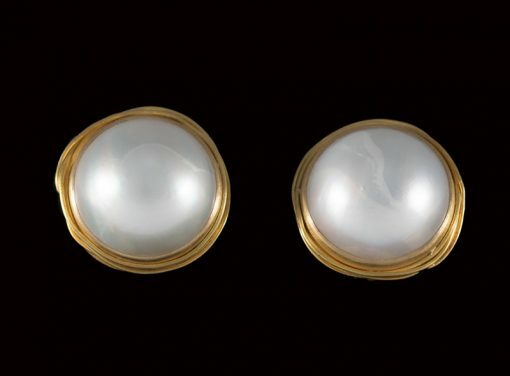 Otherwise they are completely plain and elegant, allowing the pearl to be the star of the show – which it is. 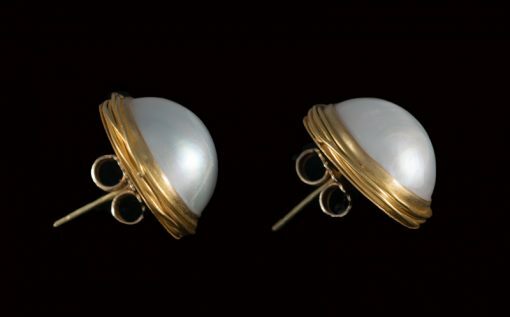 The earrings are 2cm across.